Zero compression on all 4 banks. Hi all. Thanks for letting me join up on this forum! So this is my first cruiser. 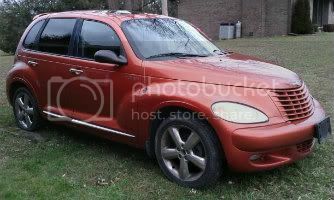 And may be my last.... Bought the car with the understanding it needed a timing job. 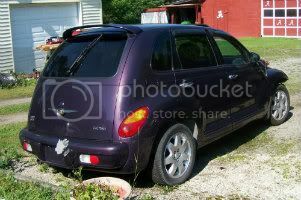 02 pt cruiser limited. 2.4l non turbo. Auto trans. 156,000 miles. No other history known. Upon pulling timing cover inspection cover i found timing marks aligned with #1 tdc as verified with a dowel. Yet i showed no compression. Wet and dry test. Decided as i know no other history on the car that i would go ahead and do a head gasket and fresh timing/ water pump job. Head was warped 26 thousandths. I obtained a used head, had it checked for bent valves and surfaced about 2-3 thousandths to clean it up. Cylinders looked great. No scorching, could still see factory cross hatching, no ring groove to speak of. After assembly per repair manual specs, i still have no compression #1=0#2=0#3=0#4=0. Verified with 2 different testers that i verified on another good motor. Im at a loss. Oil isn't gassed out. Timing marks are dead on ( both cam sprockets facing up, timing marks straight edged across center of bolts with crank arrows aligned on #1 tdc). No sheared cam pins. Could i have a cam 180 out? Or both? Is it possible with timing marks aligned? Any help would be greatly appreciated.!! 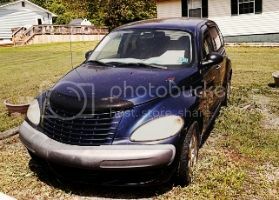 02 pt cruiser limited. 2.4l bone stock. Automatic. Re: Zero compression on all 4 banks. I would suggest you do a compression leak down test to determine why you are not getting any compression. That is my next step. Was just wondering if anyone here has encountered this issue before. I have been wrenching for 20 years now and have never encountered this scenario before lol. Has me stumped. You have a cam out of time. Leaving valves open all the time. Since you have ruled out the most likely. I would suggest that you check the cam sprockets are facing the correct way. The have two sides. You want the 2.4 side. Curious to why this would be done? Both cams were marked for reassembly before i pulled them. Make sure the sprockets say 2.4 on ehe side facing out. There is also a hole in the cams themselves that pout straight up at top dead center. About 4 or so inches from the sprocket. Cams rotate once per every 2 rotations of the crank. Wouldn't that mean that if the alignment pins are in the cams that so long as the timing marks align and the cam sprockets face upwards, there is no way the cams could be 180 out? Or am i mistaken on cam to crank ratio?